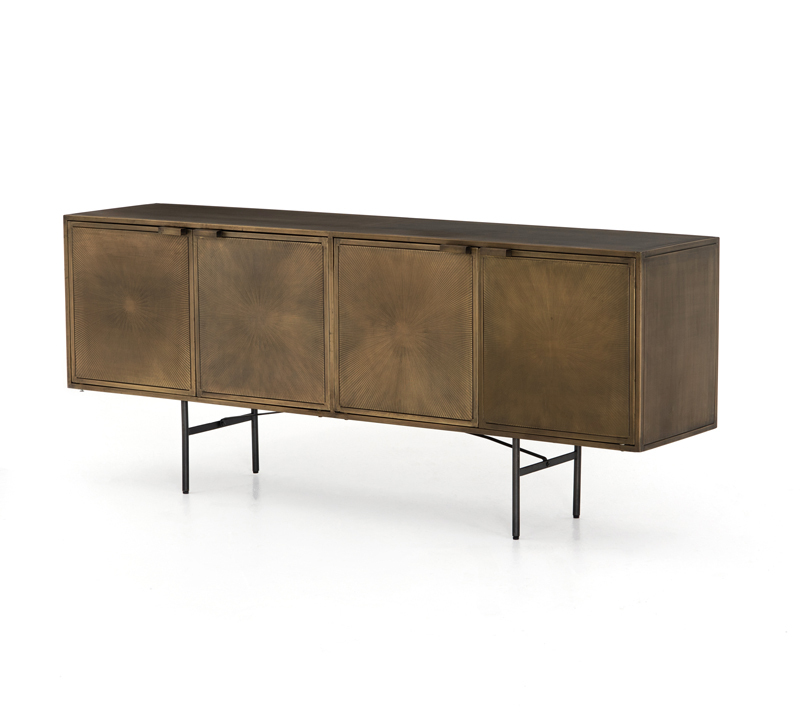 Evocative of Hollywood Regency glamour, the Sunburst sideboard from Four Hands features an Aged Brass-finished iron etched with a striking sunburst pattern for a unique look with a hint of glam. H-stretcher legs of Gunmetal-finished iron add a touch of industrial influence. Spacious interior for ample sideboard storage.